It’s that time of year again. Here’s a rundown of all the things we enjoyed in 2014. 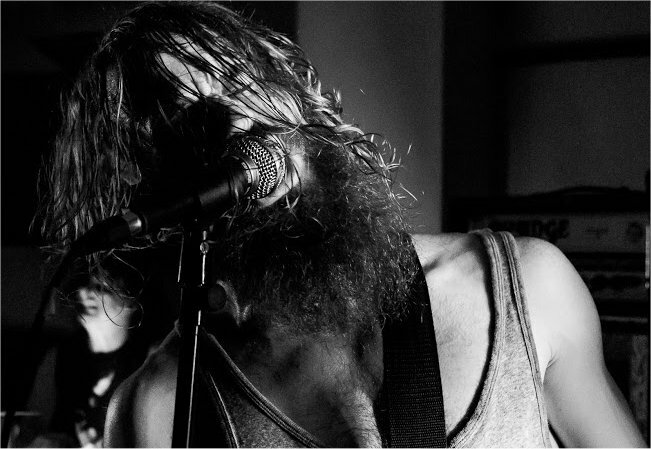 In 2014, we conducted our first ever set of interviews,starting with local legends Black Night Crash. We sat down with them while they rehearsed ahead of their appearance at Galtres Festival. After ten years off the scene they were on the comeback, having played a well-received show in Fibbers in May. It was great to get their thoughts on the York music scene. We also really enjoyed getting in touch with Kymberley Kennedy, who is an absolute gem. We enjoyed finding out about the fantastic year she had had, including her appearance at the aforementioned Galtres, and her plans for what is bound to be a bright future. We’ve kept up with Kymberley since and wish her all the best in 2015. But the absolute highlight for us would have to be ourlittle piece on rock and roll photographer, Ami Barwell. We posed her a few questions ahead of her first ever exhibition in York, at the Fossgate Social, and found out an interesting thing or two. However, it was when we advertised the interview on Twitter and were retweeted by none other than Black Rebel Motorcycle Club that things really got exciting. Our little local webzine suddenly and briefly had an international audience, with visitors to the site from Russia, Japan, the US and even Kazakhstan. In the autumn, we covered a few excellent mini-festivals in the space of a few weeks, starting with MOR Music on Rails. Set in the fantastic space of the National Railway Museum’s Station Hall and on a moving train, this was an ambitious effort for all involved, but one that came off impressively. It was a tremendous sense of community that we enjoyed aboutYork’s Little Festival of Live Music: Unplugged a few weeks later. Taking place in the intimate upstairs room of the Black Swan over two evenings, the performances were a real treat for the ear, and really cemented for us the talent York has to offer. It proved to be a nice little fundraiser for the Independant Domestic Abuse Services as well, raising over £300. 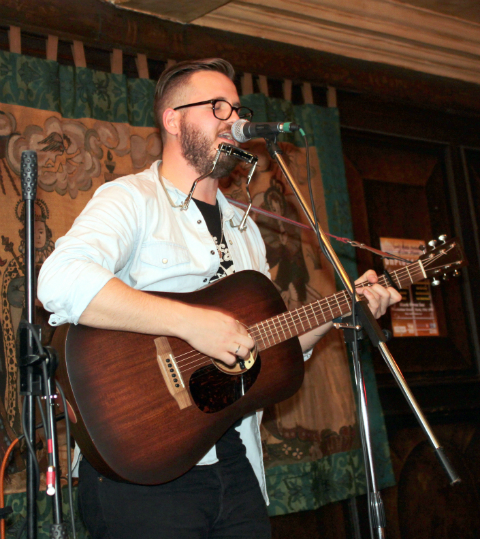 Finally, on an unusually warm late October weekend, we went along to York’s Oxjam takeover. A huge line-up across five venues, we were spoilt for choice as to who to see and tried to spread ourselves as thinly as we could. It was a great chance to see Kymberley Kennedy live, and really feel the full effect of her powerful voice. It was also our first encounter with the young and grungy Bull, which we hope to see more of soon. November was the month that York found out it had been named a UNESCO City of Media Arts, joining an elite group of three other international cities and becoming the first in the UK. With the Aesthetica Short Film Festival having taken place a few weeks before, and all the other exciting arts stuff going on in York, it wasn’t exactly a surprise, but a delight nonetheless. In November, York also played receptive host to some old friends of ours from the East Midlands who came visiting. 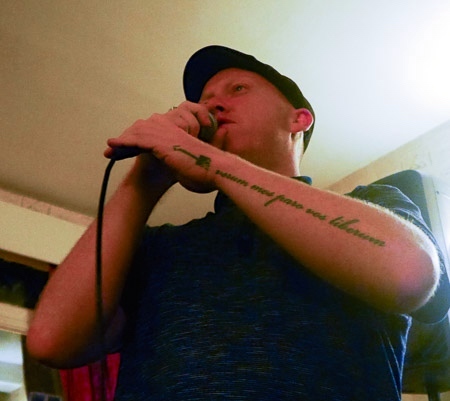 At the beginning of the month it was the genre-defying Alex Blood & The Diggers playing a stripped back set at the Waggon and Horses. Then the force of nature that is Baby Godzilla did their best to smash up the Fulford Arms. Y’all come back now, you hear? In December, we still had enough of the year left to have a sit down with local promoters Blueskies. We learned in a very candid way the realities and struggles of running a promotion company and getting struggling artists some paid gigs. It turned out to be a deeply engaging conversation, and one of our highlights of the year. And finally, in the run up to the festive season, we went along to shopping and music event: Jollygate. 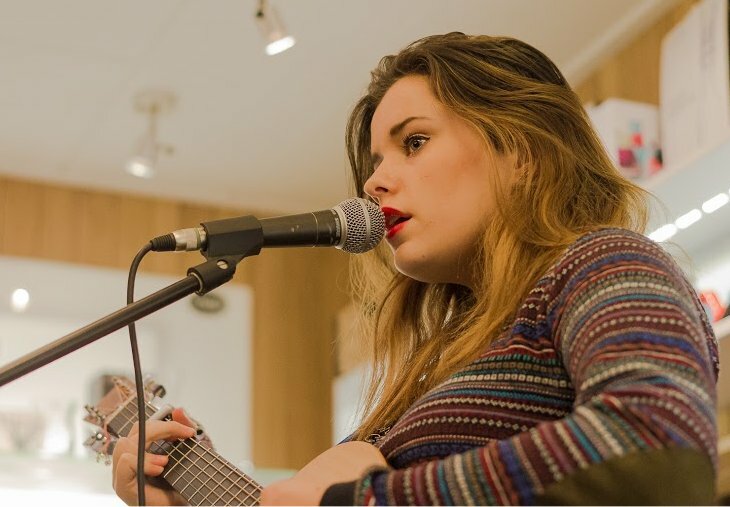 This unusual mini-festival transformed the shops along Gillygate into a series of intimate venues to great effect, proving to be a fantastic way to get into the Xmas spirit and enjoy some of the talents of Access to Music students, past and present. There’s so much more we could have talked about and, in a way, every time we get to find out more about the creative stuff going on in York it’s a highlight. We can’t wait to get stuck into 2015.